Entries are now closed to host sanctioned events during the 2018/19 season. Our tender windows are now closed. For more details on hosting an event and our openings please contact: competitions@englandsquash.com. Following the successful first tender window (Tender Window 1), we're currently processing these events. If you've haven't heard from us, please bear with us and we'll be in touch in the coming weeks. 1) Your club must have full England Squash membership. 2) The tournament organiser must have completed the Tournament Organisers Course and receive a 'pass' grade. The Tournament Organisers Course has been revised to work alongside our revised regulations that are currently in consultation. These don't take effect until September 2018 and are subject to change. View our current regulations. Log in to your England Squash Account and click on CPD courses in the navigation. Events must be held within one of our designated days or weekends for each tier of events. View 2018/19 calendar. Two events available on a two-year tender, with an extension to three based on year one's success. These can be tendered for within Tender Window 1 only. Gold events are aimed at the elite junior player with 32 draws in 10 age categories (U11 to U19). They are premium events where event delivery of the highest level is critical to their success. Gold events are mandatory selection events for Junior Team England Selection. Head-to-head results at the age group players wish to be selected for are critical towards selection. A minimum set up of 15 Courts, with the majority glass backs for viewing. Ideally over no more than three venues. A showcourt for finals. Preferably a glasscourt but a large glass back set up would be acceptable. Be able to host over three days on the dates stated within the tender. 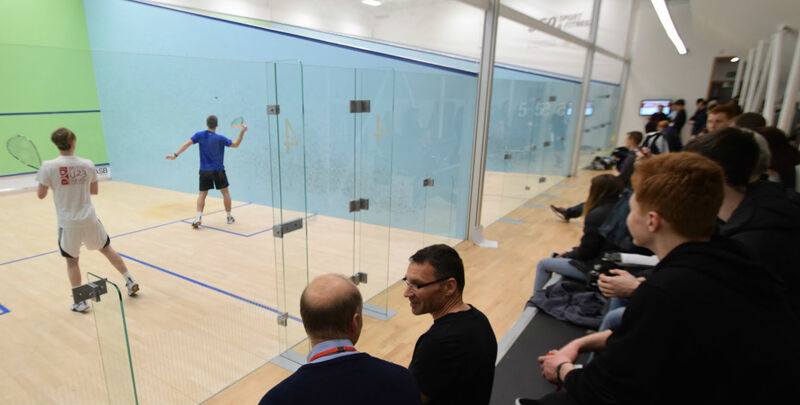 An experience event delivery team with a good track record with the ability to lead as tournament director, manage and host the event complying to the England Squash Sanctioned Events Policies. A nice bar and refreshment area for players and parents to relax between games. Strong wifi connection throughout the venues. Ability to host live draws through Clublocker and deliver a tournament website. Good geographical location in relation to the other major events in the year to allow for geographical spread. Please note, this year the folllowing events are already tendered for: British Junior Open (Birmingham), British Junior Championships (Nottingham), English Junior Championships (Hull). Entry Fee will be £40 with a £12 levy retained by England Squash. Six events available on two-year tenders with an extension to three based on year one's success. These can be tendered for within Tender Window 1 only. Silver events are aimed at the elite junior player with 32 draws in 10 age categories (U11 to U19). They are premium events where event delivery of the highest level is critical to their success. Silver events are Selection Events for Junior Team England Selection. Head-to-head results at the age group players wish to be selected contribute towards selection. A minimum set-up of 14 Courts with the majority glass backs for viewing. Ideally over no more than three venues. A glass-back showcourt for finals with a minimum of 50 seats capacity. Be able to host over the dates stated within the tender. Good geographical location in relation to the other tendering Gold and Silver events. It is critical that our Silver and Gold events have an even spread across the country. Entry will be £30 with a £7.50 levy retained by England Squash. 20 weekends available to hold Bronze events with multiple available on each date for the 2018/19 season. These can be tendered for within Tender Window 1 and 2. Bronze events can be hosted across selected age groups ranging from U11 to U19. They are participation events aiming at transitioning players from starting to play tournaments into playing the elite level junior events. A minimum set up of three courts. An event delivery team with the ability to lead as tournament director, manage and host the event complying to the England Squash Sanctioned Events policies. Entry will be £20 with a £3 levy retained by England Squash. Organisers should actively promote their events and look to put on events suitable to the local playing audience. There are 68 available days to hold Copper events with multiple available on each date for the 2018/19 season. These can be tendered for within Tender Window 1 and 2. Copper events can be hosted across selected age groups ranging from U9 to U17. They are participation events aimed at getting players into events and participating in the sport in a competitive format. A minimum set up of two courts. An event delivery team with the ability to lead as a tournament director, manage and host the event complying to the England Squash Sanctioned Events policies. Ability to put on refreshments and food for players and parents. Entry will be £15 for members of England Squash and £20 for non-members of England Squash with a £2.50 or £5 levy retained by England Squash respectively. Our policy for the 2018/19 season is currently being reviewed in consultation with the Junior Focus Group, as well as players and parents for the remainder of the season. View the provisional policy for 2018/19. Our goal within these policies is to provide organisers with more information and flexibility, and to empower them to deliver effective events for players at each level of the pathway. View information on the rankings policy and further clarity around the rankings re-calibration. This year, we will be looking for events that allow a great geographical spread. We will outlay the selected events in combination with the Regional Forum network once the windows have closed. This will form the Events Selection Panel. For more support in hosting your event and fitting in to you local event geography, please contact your regional forum. If accepted by the Events Selection Panel, we will notify you of the next steps. Please note, if your event date clashes with other local events and we don't have another weekend available, we will be back in touch to work out another date to host your event. We will work with organisers to make sure you can find a slot to host your event. Once accepted you will have the opportunity to join one of our tournament organisers workshop days which will give you further advice on how to host an effective event. Should you have any further questions, please get in touch: competitions@englandsquash.com. 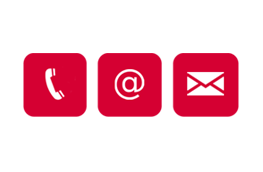 Give us a call, send us a tweet or drop us an email.